Mister Rogers arrives with a basket full of various elephant sculptures and models which he takes to the kitchen to share. After showing how some of the elephants are fancy and some are plain, he sings Everybody's Fancy. Invited to the McFeely house, Mister Rogers meets Miss Jean -- host of Hodgepodge Lodge. Miss Jean, a friend of Mrs. McFeely, has been creating terrariums and helps Mister Rogers make one of his own. In the Neighborhood of Make-Believe, the royal family is visiting Westwood where Prince Tuesday is playing hide and seek with Tadpole Frogg, Mr. Skunk, and H.J. Elephant III. Tad is jealous of the attention Prince Tuesday is receiving which causes him to act out towards his friends. A scuffle ensues between Prince Tuesday and Tadpole Frogg but is quickly interrupted by Bob Dog and Mayor Maggie. When Mrs. Frogg arrives, she assures Tad that he is special and very important to his friends and family. Mayor Maggie sings It's the People You Like the Most. 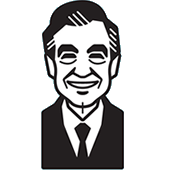 Back at the house, Mister Rogers talks about the difficulties that come with having company. Looking more at the elephants from the basket, he thinks about a group of people taking care of and riding real elephants. Hodgepodge Lodge was a children's show hosted by Miss Jean and broadcast on PBS from 1970 to 1977. One of the elephant sculptures is seen again in Episode 1570.